SAGE India Digest: Cultural and political dynamics of South Asian countries. Cultural and political dynamics of South Asian countries. That religion and faith are vital to the lives of ordinary people in South Asia is something that is non- contested. 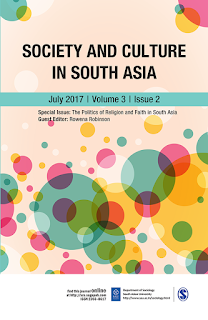 The tumultuous history of the societies that composes the South Asian region affirms to the fundamental role that religion and particularly its politics has played in shaping ideas of nation, state and citizenship. This brings out the distinction of South Asia as a region as well. South Asia is not merely a region in geographical terms but is also historically, socially and politically deeply interconnected. Not only have boundaries been shifting in the past across the countries that comprise this region, the boundaries themselves are recent and migrations have taken place across the centuries. Moreover, the formation of modern states in each of these countries is connected to the history of others. Pakistan, Bangladesh, and India have undeniably linked stories of origin. Policies and politics, particularly in relation to minorities in one state, tend to have its echoes across boundaries. If Hindu minorities are attacked in Bangladesh or Pakistan, this tends to have reverberations in India. The fact that a minority in one state is a majority in another and that this is not accidental but a product of definite historical choices has major implications for the way in which the politics of religion has developed over the decades in the countries of this region. Thus, the minorities in one country are related by ethnicity or religion to neighbouring states. This often has an adverse effect on the situation of minorities in these states. In some states, minorities are considered a ‘fifth column’ and security considerations rather than the concerns of liberal democracy appear to affect the ways these states treat or deal with these minorities. India’s commitment to secularism and democracy is under increasing stress today. The growing curtailment of fundamental rights of speech and expression, continuous curfew and the blacking out of various media including the Internet in Kashmir, the use of the deadly pellet-gun whose victims have included numerous women and children, the controversies over Bharat Mata, nationalism and anti-nationalism in which various academics have been involved and even faced suspension, the rows in JNU and Hyderabad University all speak of the overall trampling of freedoms of life, assembly or liberty. In the midst of this, we had a recent Supreme Court judgement that by a slim majority held that elections in a democracy are a secular exercise and that seeking votes in the name of religion, caste or community amounted to corrupt practice and could lead to the disqualification of a person thus elected. These contradictory shifts speak of a nation at a critical point in its history and what happens here will have implications for other South Asian countries as well, which is in any case also contending with their own current predicaments over terror, discrimination against minorities, religious conflicts and similar issues. 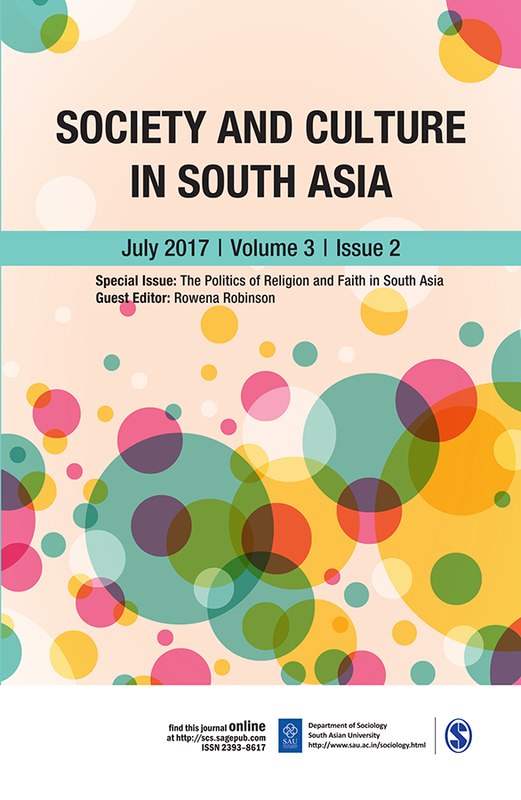 A recent issue on The Politics of Religion and Faith in South Asia from Society and Culture in South Asia presents a brief foray into the deeper spiritual aspects of this issue that is otherwise compelled to speak to the politics of religion and religious boundaries in their more overt form across South Asia as a whole, and India in particular. Its a very informative post on "Cultural and political dynamics of South Asian countries".